Although the official name for Shippuden 258 is Rivals, instead it should be called butchered, because that’s exactly what it was. I know I commented last week on how they edited the episode to try and cram a lot in, so don’t get me wrong, I knew this would be heavily edited too, but I didn’t expect such a bad episode from it. It seemed like every few seconds they were skipping forwards in massive chunks. I mean, the previous episode ended at the start of the Land of Waves arc, but this one skipped that entire arc as soon as it started, so we never saw so much as 1 second of Haku or Zabuza. We got to see the middle of Sasuke vs Orochimaru in the Forest of Death pretty early, then shortly after (after skipping most of that fight too) it was on to the part in the forest where they were fighting clones. Then it skipped to Sasuke telling Naruto he was one of the ones he wanted to fight etc, and I can’t even be bothered talking about it because it was taking the piss to be perfectly honest. I was expecting this to be heavily edited, so it’s not a case of me getting annoyed over that, I am simply annoyed by the massive amounts removed and also the way the episode was spliced together. The episode was focused on Sasuke and went up to just before his fight with Gaara, so that shows how much they tried to cram in this time. The thing is, they didn’t even do a good job of it. As well as missing a crapload of stuff out, it was also edited together really poorly so that the episode never had any kind of flow or feeling to it, instead it felt like something a 10 year old using Windows Movie Maker put together. 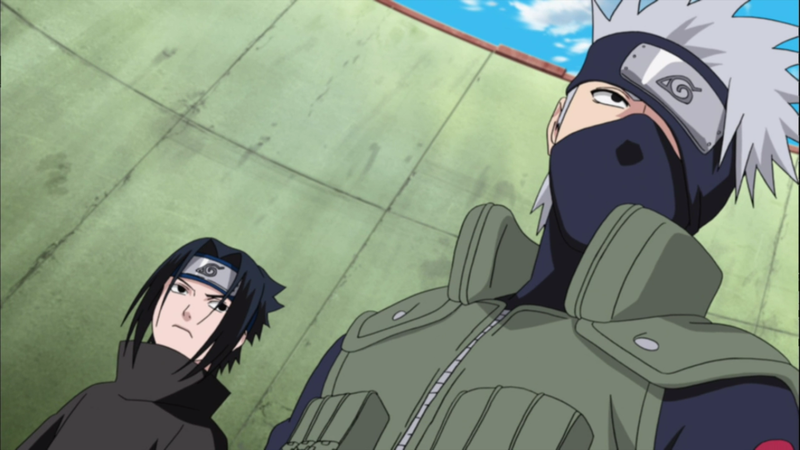 They also added in a couple of scenes with new stuff not in the originals that added nothing and were pointless, the only decent thing they did was fixing Sasuke’s hair when he first arrived at the arena with Kakashi. Basically, there is absolutely nothing I can recommend for why you should watch this episode. It was a poorly put together mess that only succeeded in ruining some of the best parts of the original Naruto series. Unlike last week, I can’t even say it was a nice chance to revisit the series in HD or as a proper recap, as so much was missed out you might as well not bother anyway. Seriously, just do yourself a favour and avoid this episode. It felt like the biggest waste of 24 minutes of my life, even moreso than the horrible filler they were churning out pre-Shippuden. If you really want to revisit the series, please just watch the old original episodes or read the Manga version, because all you will get here is 24 piss-poor minutes of something claiming to be Naruto. Next week will be another recap filler too unfortunately, so I can only hope that they do a better job with that one than they did here.